I am lucky to have a large collection of poetry books in my library and that I have students who check out from this section even though they stick to favorites like Shel Silverstein. I devoured Shel's books when I was in school so I can relate. My mom, hip to great literature in 1974, gave me Where the Sidewalk Ends for Christmas that year and I carried it around for months. Later I fell in love with Maya Angelou, Langston Hughes and Wendell Barry while I was in college and graduate school. There is an bundle of great poetry available and every year, it seems, I discover someone new. A teaching friend and I developed a wonderful poetry unit about 5 years ago and I doubled our library's 811 collection. She doesn't teach 5th grade anymore and poetry is no longer in our curriculum at all. I know-it's criminal! I am working on poetry with 2nd grade all through April. We are going to read poems, explore some poetry sites and hopefully, create a few of our own. What favorite poetry books do you rely on for April or anytime you bring poetry out? 1. Poems in Black and White by Kate Miller (2007); This book combines beautiful imagery with poetry about everyday life. 2. Mirror Mirror by Marilyn Singer; ill. Josee Masse (2010): This is verse in reverse and it is amazing how each verse works. Fairy tales are the theme, which means I get to use this book in two different lesson plans this Spring. and on the other side of the page is the reverse but you can reverse it by reading back up the poem. It makes sense both ways and makes you think! Love it. 3. Here's a Little Poem; A Very First Book of Poetry collected by Jane Yolen and Andrew Fusek Peters; ill. Polly Dunbar (2007): The illustrations in this one steal my heart; Dunbar is magic! The poetry inside is perfectly picked for young listeners. 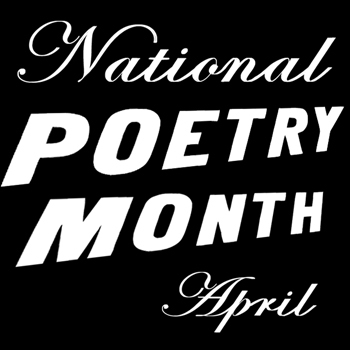 and Gregory K's GottaBook blog is featuring poetry all month!